How organisations can cut their downtime, reduce their costs and increase productivity by adopting smart maintenance. Unplanned maintenance and the resulting production downtime is the bane of most organisations. Deloitte reports that such downtime costs industrial manufacturers £37 billion [$50 billion], and that 42% downtime is caused by equipment failure. Such costs and inefficiency may soon be a thing of the past, however, as experts believe that new technology will drive a shift away from reactive maintenance towards predictive, smart maintenance. If your company carries out research and development then you may be eligible for R&D tax credits, which can reduce your tax bill or increase taxable losses. If your company makes a loss on qualifying R&D expenditure, you can choose to ‘surrender’ or ‘cash-in’ losses that derive from an HMRC claim. The HMRC will then ‘repay’ the surrendered losses as a cash R&D tax credit, instead of your company having to carry forward a loss. There are different schemes tailored to different business types that maximises your returns. Contact Jumpstart to find out more. Writing in the national journal ‘Manufacturing Management’, Dr David Baglee, a Reader in Advanced Maintenance in our Faculty of Engineering and Advanced Manufacturing, gives his thoughts on the UK’s manufacturing sector in the coming year. “Recently, the development of new Information and communications technologies has triggered a revolution in manufacturing and this is set to continue. “The UK manufacturing sector is slowly embracing this new industrial revolution, known as Industry 4.0. In 2018 and beyond, Industry 4.0 will offer vast opportunities for UK manufacturers to attract and develop a new generation of skilled employees, create new products and services and expand into new supply chains. “However, in order to embrace fully Industry 4.0 and the new opportunities for UK manufacturing the ever-present skills shortage will need to be addressed. “The demand for employees with manufacturing and related skills is higher than supply. Industry driven training or re-training, new academic engineering programmes, which focus on digital technologies, artificial intelligence and machine learning, are under development in many companies and universities. “However, modern manufacturing involves more than just making things therefore time is needed to identify the jobs of today and the future and ensure our training and teaching programmes are able to adapt to the every changing manufacturing environment thereby creating not just specialised skills but cross cutting skills for communication, creative thinking and problem-solving. The University of Sunderland and AMAP have established a forum for manufacturing companies to meet and discuss productivity improvements in a non competitive forum. The forum is designed to allow like minded organisations to meet and exchange best practice in order to learn from one another’s experience. 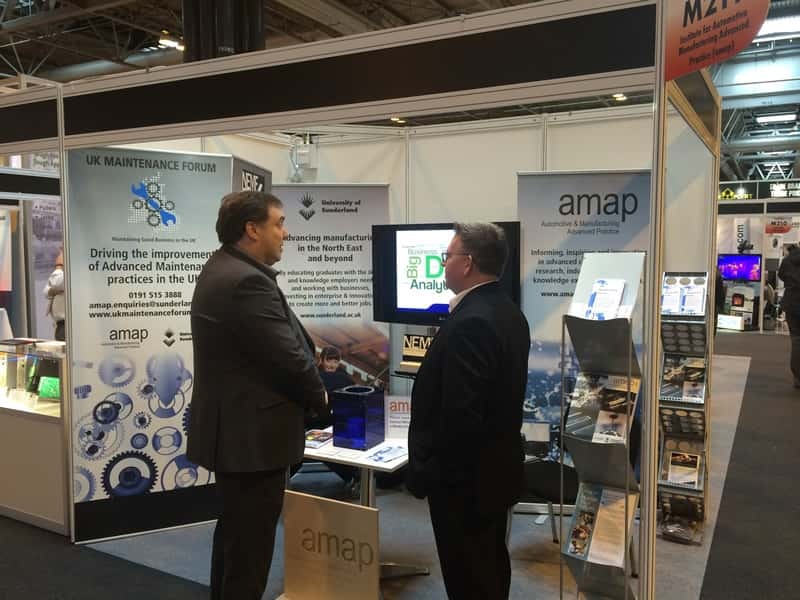 Maintec will return to the Birmingham, NEC 21-23 March 2017 and AMAP’s Dr David Baglee will be discussing Asset Management tools and techniques. Now under new ownership the 2017 event promises exciting development, content and new features. New for 2017, through two new theatres, Maintec Dialogue and Maintec Summit, the seminar programme will address the most important challenges facing maintenance engineering today. Topics have been carefully selected during extensive research for the recently commissioned White Paper which looks in detail at The Future of Maintenance Engineering with important contribution from EEF, IMechE, IET, Gambica, UKLA – all who will be speaking live at the event. The World Congress on Engineering Asset Management has been held annually since 2006 with the objective being to bring together academics, practitioners and scientists from all around the world to promote research, development and application in the field of Engineering Asset Management; to strengthen the link between academic researchers and industrial practitioners in the field and to showcase the state of the art systems and technology in Engineering Asset Management. Dr David Baglee will be Co Chair at the forthcoming MPMM2016 at Lulea in Sweden on the 28th November 2016. Dr David Baglee describes how the North East Maintenance Forum has grown from a handful of companies to over 140 members in less than two years, and why it’s about to be adopted across the UK to create a regional network of forums. Work of AMAP and our Forums receives international attention. Our very own Dr David Baglee was invited to present a keynote of the work of AMAP and our models for industrial engagement, which include the work of our forums. Nice to see the work is attracting international attention at such a high profile event. Thanks to all our AMAP and Forum partners for helping us build this reputation. 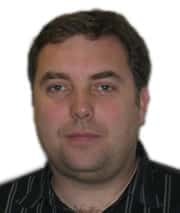 Dave will come back armed with some interesting knowledge and learning of best practice that we can feed into our ongoing activity remapping our future teaching and learning within engineering and help us shape the future provision and curriculum. The University of Manchester has a strong reputation of delivering industry focused professional development courses, consultancy and applied research in plant maintenance and reliability over the past 20 years. With the aim of providing a common platform by which professionals, engineers, practitioners and researchers working in the field of plant maintenance and reliability can share their experiences, we are holding the first International Conference on Maintenance Engineering. Industry spends huge sums of money maintaining its plant, machinery and building assets and, because of constantly increasing business and financial pressures, there is an ongoing need to achieve the maximum performance from those assets. Plant & Asset Management is the UK’s premier event for plant, asset, maintenance and works management engineers and directors. The exhibition, and free seminars, takes place at the NEC, Birmingham, from 12-14 April 2016. The format continuous along the lines of the well-known EuroMaintenance concept, with focus on the training of the technical-industrial world through 6 dedicated masterclasses about asset management and reliability. The Maintenance Performance Measurement and Management series of conferences provide an excellent opportunity for engineers from all areas of academia and industry to present and discuss the latest practices and technologies for managing and monitoring the performance of maintenance strategies. FlexMaint – CMMS Maintenance Management Software……… Flexibility to easily manage your maintenance department and works.